I return to blogging today after an absence of nearly two weeks. I was struggling for inspiration, as well as having one or two other things on my mind, and could not think of what to blog about. Luckily, inspiration arrived in the form of Barry Gross’s blog about what being a transactional lawyer means to him. Barry, a Real Estate partner at Berwin Leighton Paisner, talks about working on commercial deals and balancing the amount of law involved with the commercial nous he has developed. There have been many interesting debates on this topic over the years, I am sure, and they have found their way onto Twitter recently, with varying views proposed by Barry, Michelle Hynes-McIlroy and others. As a future trainee solicitor, I have been given copious amounts of advice on this particular matter and, whilst not having vast amounts of experience to draw on, am able to proffer a view from this side of the career. Commercial awareness is a major buzz-phrase in the application world. You must exhibit it in order to attain a training contract at a commercial firm (which, as I’ve already discussed, is the ambition of many law students – whether rightly or wrongly). But is this examined effectively in interviews? And do prospective trainees fully understand its meaning? Commercial awareness is often taken on face value by applicants. This means that many assume that reading a newspaper and being able to follow a story will be good enough. And sometimes they’re right – there are some firms that either ask “Please tell us about a commercial issue that caught your eye recently and explain its significance” or, more fiendishly, “Please tell us your thoughts on X Commercial Issue”. The second of these is less fair, in my opinion, because it presumes an interest in that particular issue. I was once asked about the Irish bailout. I was able to give a complete overview, but because my interest had been in other areas, I was unable to provide the depth that other candidates were obviously able to give, as I received feedback that my answer did not go far enough. Nevertheless, assuming that the firm will allow you to place your own stamp on the information, is being able to follow one story really enough? Possibly not. Even if you do get the direct question about a commercial issue, it’s the second half of the question which is truly a measure of your commercial awareness. 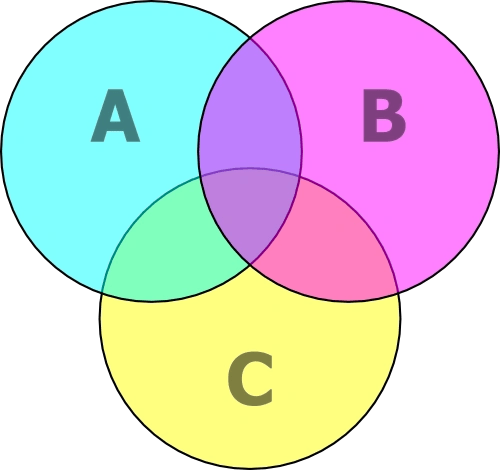 The significance of the issue that you choose is where the firm sees if you understand that the world does not operate in a series of parallel bubbles, but more like the circles in a Venn diagram, where the worlds of law, commerce, politics and many others overlap in all kinds of areas. This is particularly important if there isn’t a “commercial news story” question at all, as there often isn’t. The firm told me that my current commercial awaress was just okay, some parts good but I didn’t go into enough detail on some things. We didn’t really talk much about current news or anything though… maybe I should have randomly brought up some topics? I know someone else who had an interview at this same firm. They had, as I’m sure our commenting friend had, done extensive reading of the commercial and financial press, but knew that the idea was not to “randomly bring up topics” but to use the current issues to justify answers in other areas. For instance, it’s very difficult to just “randomly” bring up a topic of current news – in an interview, a conversation in which you as the interviewee do not set the agenda, you can’t pipe up with “so what do you think of BP’s deal with Reliance in India?” What you can do, though, is use current issues to furnish your answers, such as answering a question of why you want to work for an international firm with some quotes about the jurisdictions they work in or projections of where the markets may move over the next few years. This is the real way to show what is commonly known as “commercial awareness”, in my opinion. The information itself isn’t an indication of your commercial nous – that part comes in your understanding of the way that information applies to the world of commercial law, or the way commercial law applies to that particular news item. 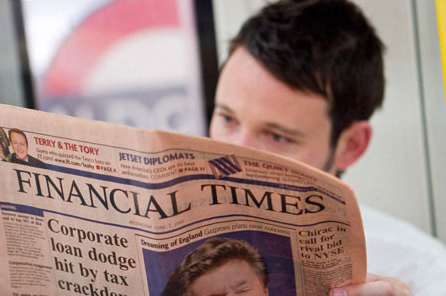 However, commercial awareness isn’t only to be found in the Financial Times. As Barry talks about in his blog, commercial awareness means something completely different to commercial lawyers, particularly transactional lawyers. I once asked a solicitor for a definition of commercial awareness. I was expecting something quite self-evident about being aware of the world around you and making sure that you understood how businesses operate. But he replied that commerciality to him was about getting your client from A to B with a minimum of fuss. Sometimes that wasn’t in the way the client first envisaged, but his role as a solicitor wasn’t supposed to be that of a regulator or applications officer, it was as facilitator. He mentioned that some lawyers he deals with just sit in meetings and say “we can’t do that” and end the sentence there, whereas others would say “well, we might not be able to do that, but we can get the same result by doing this instead”. Commercial awareness is therefore more than just knowing what was on the front page of the newspaper today. It’s understanding businesses, knowing the kind of things to consider if someone approaches you for advice on a business opportunity they’ve been offered or that has presented itself. As a commercial solicitor, your life is based on advising these kind of clients – and that broadly applies in whatever branch of commercial law you end up in. In that situation, you have to be able to show that you understand their issues and their concerns. It’s why part of being a good commercial lawyer is knowing the industry or industries in which your clients operate like the back of your hand. Clients will come to you because of your expertise and knowledge of their industry and your ability to enable them to reach a successful conclusion to their problem. They can just as easily buy a newspaper as you can if they wanted commercial knowledge in that sense. I mentioned earlier that the commenter’s interview contained a commercial question. This, according to various websites about the firm and its interview processes, would have been something like “your friend has returned from travelling and announced that he wants to set up a chain of hotels called ‘Sleep-eze’. Advise him on this issue”. The difference between the commercial awareness required for a “tell me about a news story” question and this particular example is, I hope, plain to see. It is this kind of scenario that Barry refers to when he talks of being commercial. It appears therefore that the phrase “commercial awareness” may be a misnomer in certain circumstances. Of course there is a need to keep up to date with the news – the feedback I showed you earlier is an illustration of how you need to be informed about world commerce issues, if only to convey to your interviewers your enthusiasm for commercial matters. But being a commercially aware lawyer runs so much deeper than mere information – it’s about thinking like a businessman and a lawyer at the same time. If you are a prospective commercial lawyer, I would read Barry’s blog. There will be some who disagree with him on the importance of being commercial, but I am not one of them. As someone once said to me, “being the best technical lawyer does not always equate to being the best practical lawyer”. Recognising that law does not operate in a bubble is, in my opinion, the first and most important step towards commercial awareness. Great Post. I throughly enjoyed this post (as well as Barry’s). Working in a similar environment to Barry, I find that commercial awareness and understanding your client is vital (as I’ve commented on his blog). But I will add a different perspective here in relation to my experience with commercial awareness interview questions. My first few interviews with large commercial firms (back when I was at university) I struggled with commercial awareness questions from not knowing enough detail about a specific topic (particularly if the topic was was not a direct interest of mine) and also from questions when asked more generally and the interviewer was VERY interested in the topic and kept asking more questions (and I simply didn’t know the detail) and simply getting tongue tied (I put this down in lack of interview experience). After improving on my “commercial awareness” (if there is such a thing) I struggled with the being able to talk about what I want aspect of it. After all, if you want to shine, you need to pull in a bit of your own knowledge. I found that general recession/economic/current market questions where quite good for this – I could talk about the impact of these issues on my areas of interest and even in an interview situation this has resulted in some laid back debate and sharing of information with interviewers adding in about their own experiences of the same thing. Which is usually interesting if nothing else. Separately another chance to bring in “commercial awareness ” which is often overlooked is when asked about what you do in your current job (if you are a graduate). When I interviewed with the firm that I will be training at I explained what I did for my clients in terms of commercial solutions. Which gave me the opportunity to answer questions and discuss further what I do and commercial issues specific to my area of experience. Win Win. For me, as another wannabe commercial lawyer, that breaks down in the simplest terms what my role would be. To do that obviously requires knowledge of the legal minefield that my client would have to cross but it also requires commercial awareness, a fairly opaque term. Opaque because as Ashley pointed out different lawyers, interview questions, career guides, students all tend to have a different opinion or a different way to describe the term. This seems strange considering that it is a near universal quality required of all business lawyers. I am going to add to this confusion by trying to explain my own understanding of the term. In my opinion, commercial awareness encompasses varying (depending on sector/size of firm) but about equal amounts of both business acumen and commercial affairs. Commercial affairs is the macro picture that comes with reading the broadsheets and financial/business press, so you can put the business into a wider context and the issues it faces from current economic trends, government policies, changing consumer preferences etc. The understanding and application of both comes with experience over time. Furthermore, understanding and successful application of the law within both levels takes even longer and would be the key to being good at your job. But once you crack that, you can tell your clients how to do what they want to do and they should respect you for it. A very good article on ‘What makes a good commercial lawyer’. You have given here a great answer to this question; I think more awareness is needed on this matter. 4. Awareness of current “business issues” reported in the media or discussed within business sectors. 5. Awareness of the “big picture” of a business client’s, to be able to recommend alternative legal solutions or highlight legal risks they may be unaware of when they instruct you to act in a particular scenario. 6. An awareness of the practice of law as a business and how to maximise profitability. There is overlap between all of these, but when individuals talk about “commercial awareness” they may in fact be concentrating on one aspect, or indeed just using a buzzword while meaning “people who think about business the same way I do”.